DGFC has been working with the Wildlife Rescue Unit since its inception eight years ago. 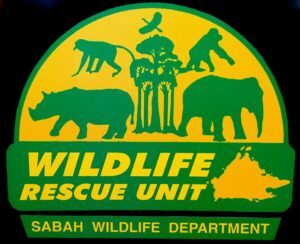 The WRU was the response of the Sabah Wildlife Department to an increase of human-animal conflicts in the state of Sabah. It is a team of more than 20 local rangers and four wildlife veterinarians, led by Dr Sen Nathan. They undertake wildlife rescue and translocation operations, assist wildlife research programmes and conservation activities, and carry out in-situ wildlife enforcement and monitoring. We work closely with WRU in several of our projects including the Bornean elephant’s landscape ecology and translocation, the proboscis monkey conservation program , the landscape ecology and behavioural responses of the Sunda pangolin to habitat fragmentation, and the study of the reticulated python, to mention some.